For my third year as a Biomedical Sciences student, I completed an industrial placement within the Immuno-inflammation Epigenetics Discovery Performance Unit (DPU) at GSK. My year-long project investigated the biological effects of novel compounds, targeting epigenetic regulators, on T helper cell differentiation. This was to establish the therapeutic potential of these compounds with autoimmune and inflammatory diseases. This year was not only about improving my employability and professional skills, but also about personal development and gaining the confidence to face challenges head on. Of course, the laboratory experience from this year was a definite highlight. Learning and applying a vast range of analytical and laboratory techniques was amazing, especially as it often used lots of expensive resources and hi-tech equipment. Although it initially felt daunting, my supervisor and other full-time employees were incredibly helpful and always supplied advice when needed. With my work, I also needed to present my results every fortnight. Presentations to me were nerve-wracking, even before my placement. But by the end, another student and I were able to present an hour-long critical analysis of a published, peer-reviewed paper to the rest of our team, which was a massive achievement. This was perhaps the scariest part of the placement, but worth the outcome. As GSK applications open early on, the application form and online tests were the first that I completed, and I set aside time to complete my responses without distraction. Guidelines from various online sources were great for making my CV engaging and stand out to prospective employers. Scheduling an appointment with the Employability and Careers Centre, and my personal tutor, was also helpful, as they provided constructive feedback and advice on the content and presentation. As for interviews, preparation is key. Not only for the questions, but also with the dress codes or the logistics of travel. I would expect ‘standard’ job interview questions (e.g. ‘what are your strengths and weaknesses?’) as well as more technical questions (e.g. ‘how could you measure RNA expression?’). Stand out from the crowd! What makes you unique, and how that might benefit the placement you apply for? Having that odd hobby or hard-earned achievement provides not only a chance to impress, but also a talking point where you may feel more comfortable. The ‘situation, task, action and result’ (STAR) format for answering application and interview questions concerning skills is incredibly useful*. By reflecting on previous challenges or successes, I felt able to discuss my strengths and weaknesses in a much more confident, concise and positive way. Ultimately, my greatest advice would be to just apply for a placement that appeals to you. 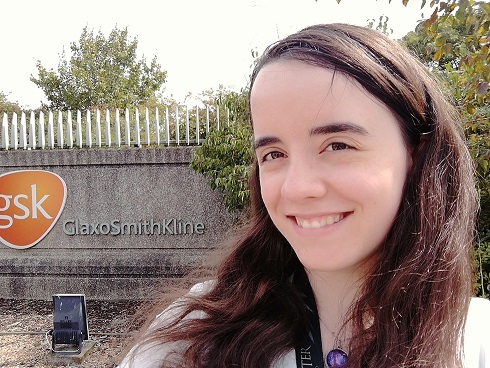 The personal and professional skills that I have developed at GSK, along with the knowledge of the impact my work has had, has made me feel so much more prepared for final year. And this alone makes applying worth a shot. * ECC note: Please see our ‘Presenting your skills to employers – Be guided by the STARs’ leaflet.